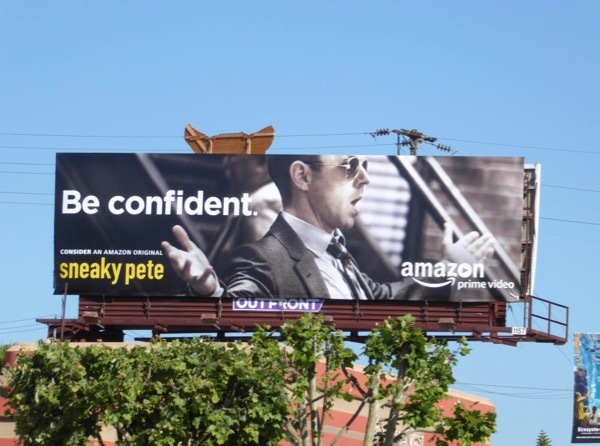 Daily Billboard can't look at this billboard for Amazon's Sneaky Pete without thinking of 'Stinky Pete' from Toy Story 2. 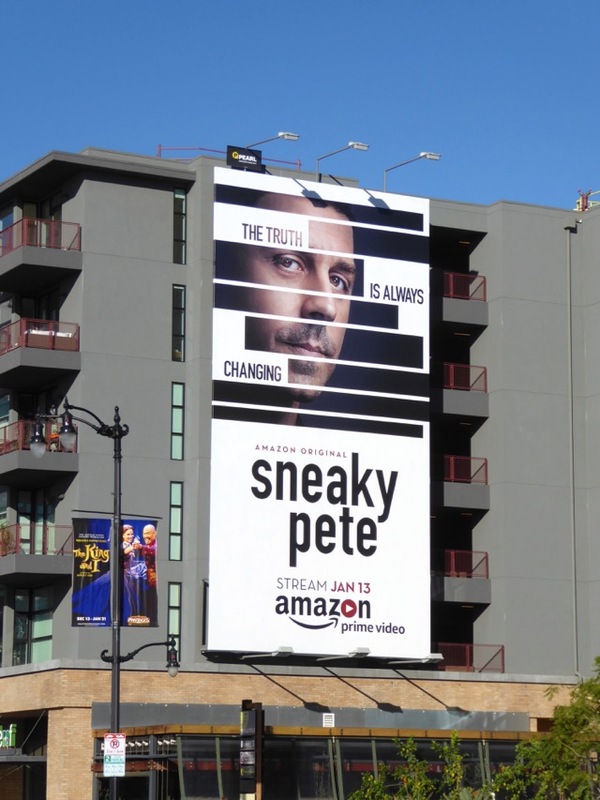 This character is a far cry from that animated prospector though, with Giovanni Ribisi playing a con man on the run from a vicious gangster (Bryan Cranston) who takes on the identity of his prison cellmate, 'Pete', and 'reunites' with his estranged family, which may prove just as deadly as the world he's trying to escape. 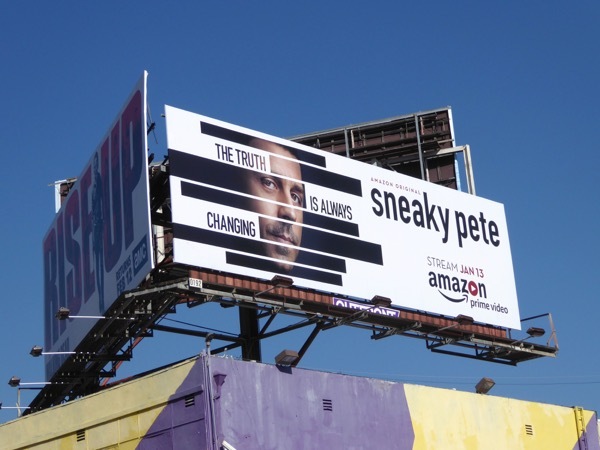 This series launch billboard with its redacted-themed design was first spotted along San Vicente Boulevard and Sunset Boulevard on January 6, 2017. 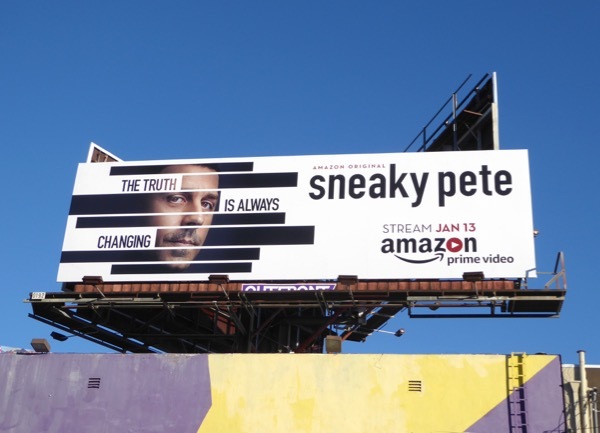 This ad creative style also reminds us of these Bourne Legacy movie billboards from the Summer of 2012. 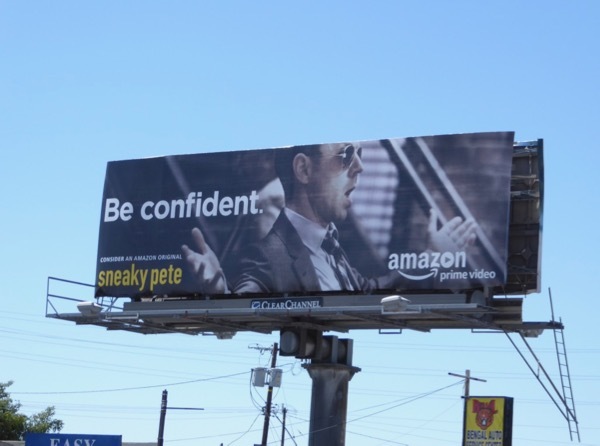 Let's see if Sneaky Pete can wheedle his way onto your must-watch list this winter season. UPDATED: Here's another portrait ad creative for the new show snapped along Hollywood Boulevard on January 21, 2017. 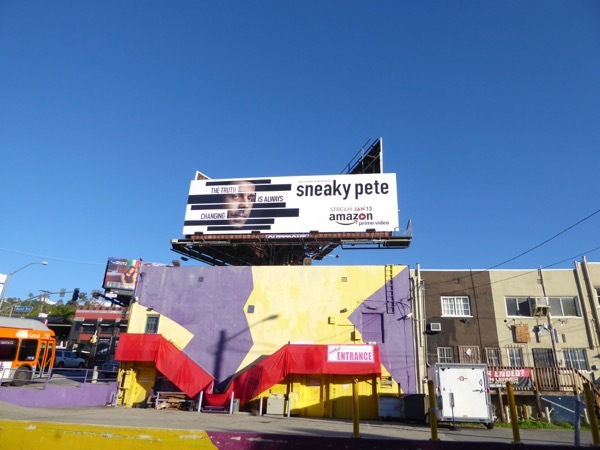 UPDATED: Here's also an Emmy consideration billboard for Sneaky Pete's debut season spotted along La Brea Avenue on May 13, 2017. Plus here's another example in better lighting, showing off Giovanni Ribisi in all his glory, snapped along Sepulveda Boulevard on May 20, 2017.